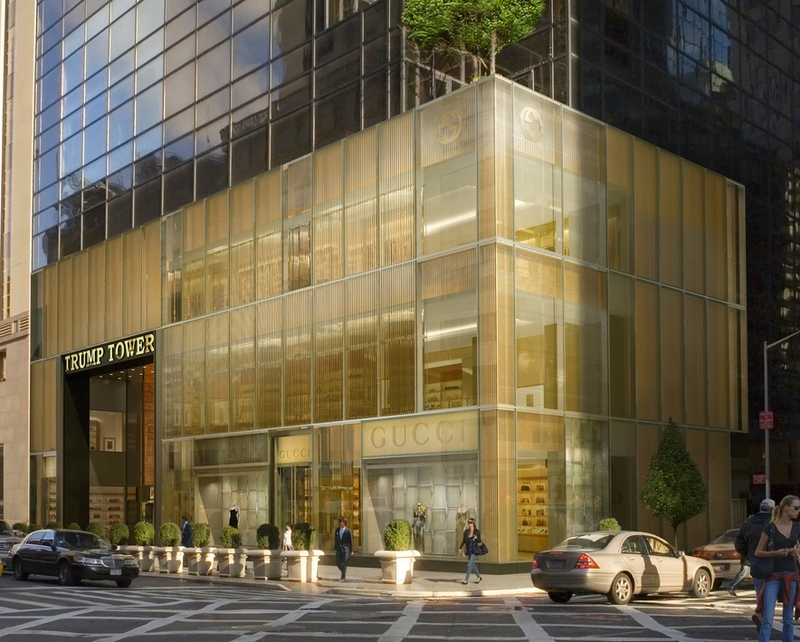 Retail leasing images for Brookfield's conversion of the World Financial Center's ground level to luxury retail space. James Carpenter Design Associates & Gucci Store Planning. Tiffany & Co's internal design team. Marketing images depicting new construction retail space extending beneath the High Line. Marketing images for full renovation of five story Meatpacking District property into two floors of high-end retail with office space above.